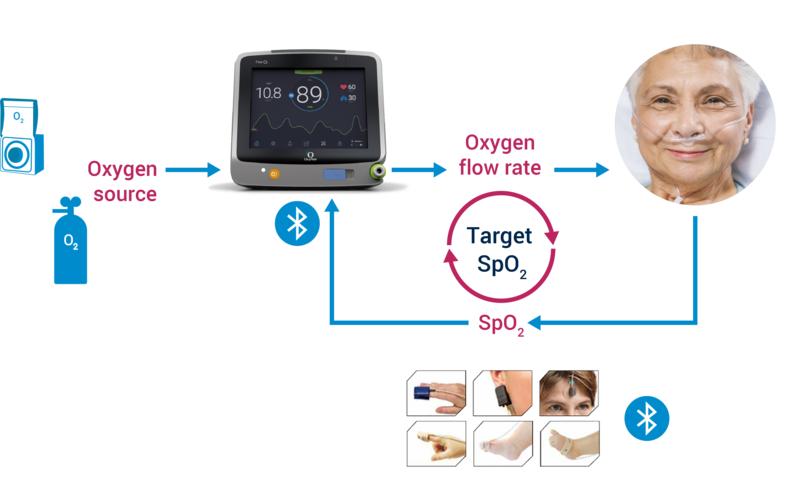 Set your target SpO2, and FreeO2 will automatically manage oxygen titration and weaning of the patient. 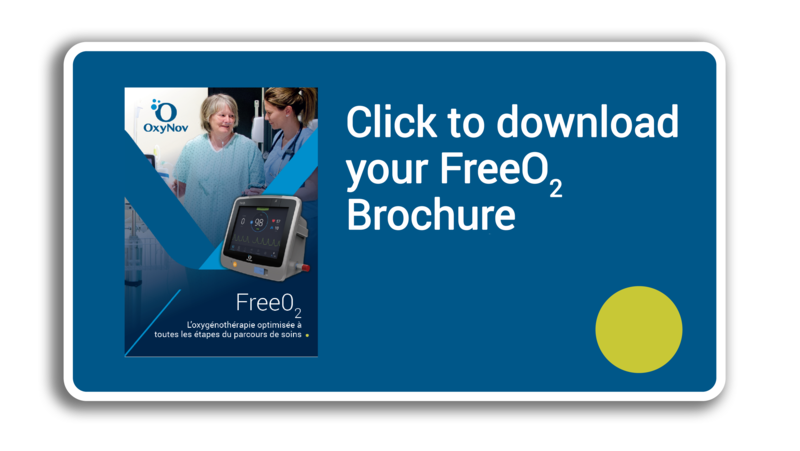 FreeO2 automatically and continuously adapts the oxygen flow rate delivered to the patient, taking into account the patient’s needs and dynamics, with the aim of respecting the target SpO2 defined by the clinician. FreeO2 operates on a closed-loop principle. Supplied by an oxygen source, it continuously measures the oxygen saturation (SpO2) of the patient and adjusts the O2 flow rate that is administered in a rapid and precise way until complete weaning.